When it was released widely in theatres back in 1993, Baraka was hailed as a stunning visual achievement. The film is non-narrative, and plays like visual poetry or a cinematic dreamscape. There’s no dialogue or plot – instead Baraka travels the world, offering a 97-minute river of imagery featuring breath-taking landscapes, wonders both natural and man-made, and various types of human activity. The visuals are undeniably striking as they appear one after the next, accompanied by music from the likes of Dead Can Dance, Inkuyo and Michael Stearns. Baraka was the first film in many years to be shot on the 70mm Todd-AO format, previously used for such classics as The Sound of Music, Oklahoma and Patton. It was directed by Ron Fricke, who also served as the cinematographer for the similarly styled Koyaanisqatsi. The film employs a variety of cinematic techniques, including time-lapse photography, to present things beautiful and ugly, joyous and terrible, religiously or culturally interesting, and much more. For this new Blu-ray Disc release, the original negatives were scanned frame-by-frame in 8K (a whopping 8192 pixels) by FotoKem Labs, using the only scanner capable of that resolution. (MPI claims that it’s the first time a feature film has ever been scanned at that resolution.) The resulting digital file weighed in at a massive 30 terabytes. It was then digitally cleaned of dust, print damage and other age-related defects, and was color-timed to the director’s specifications. The final 1080p Blu-ray version was created from this 8K master. So how does it look? Quite simply, Baraka is the best looking live action Blu-ray release I have ever seen. It’s truly an extraordinary viewing experience. The detail present in the 2.21:1 aspect ratio image is just astonishing, almost to the level of what you’d experience in reality. It often feels as if you’re actually there on location with the filmmakers. Everywhere you look, the textures and hues are absolutely superb. In the opening shots of Himalayan mountain peaks, you can see every crag and crevasse of rock and snow, not to mention the slight heat shimmer of sunlight as it beats upon the rocks. Images of South American shanty towns reveal every piece of tile and shingle, every smudge of dirt and damp on walls. The vibrant colors of African tribal dresses simply pop off the screen. Perhaps the most astonishing visuals feature the crystal laden ceilings of the Mausoleum of Shah-e-Cheragh in Shiraz, Iran. If your jaw doesn’t drop at as every surface and facet glitters with reflected light, you’ve become too jaded. The eye candy in Baraka beats any CG creation Hollywood can produce by a wide margin. The disc is impressive sonically as well, with 5.1 surround audio available in 96kHz/24-bit DTS-HD Master Audio. Again, there’s no dialogue other than the occasional bit of chanting, so a mixture of environmental sounds and atmospheric music envelopes you at all times, reinforcing the hypnotic experience of the images. The clarity and staging are exquisite, with abundant bass. An excellent Dolby Digital 5.1 mix is also available. This is a single-disc, BD-50 release, but there are a couple interesting special features. 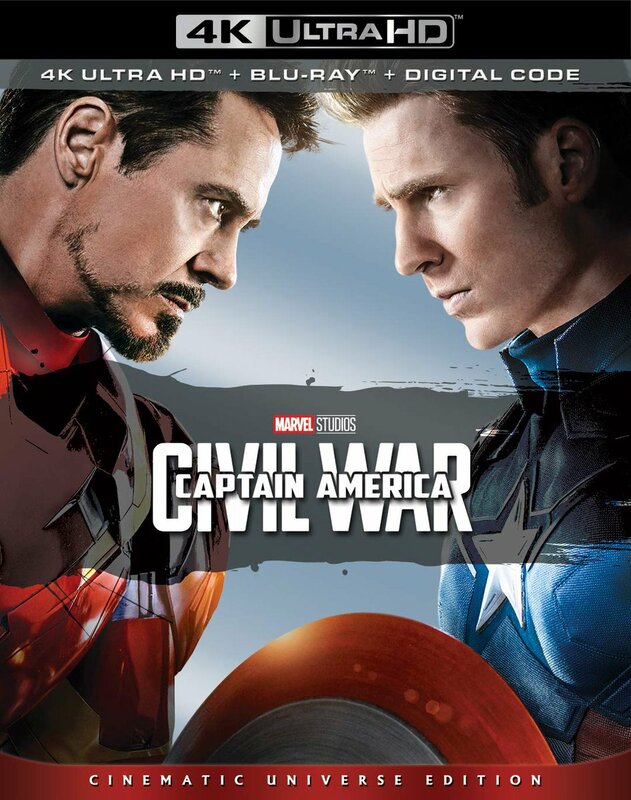 Included on the disc are two featurettes, which together run nearly 80 minutes in all. The first, Baraka: A Closer Look, is a nearly feature-length documentary that examines virtually every aspect of the film and its production. The other, Baraka: Restoration, offers a fascinating look at the scanning process and the creation of the 8K digital master. Both featurettes, I should note, were available on the previous DVD release as well, but they’re presented here for the first time in full HD resolution. The only thing that isn’t here, that I would really have appreciated, is some kind of subtitle text option that tells you what you’re looking at as the film plays. I know that’s probably contrary to the spirit of the film itself, but I think viewers might find it helpful, especially those who don’t have time to watch A Closer Look. Still, it’s a very small complaint. I was really blown away by this film when I first saw it in theatres more than fifteen years ago, and I’m even more impressed now, after viewing it again on this disc. 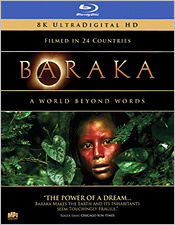 Simply put, MPI’s Blu-ray release of Baraka is a landmark achievement for the format. It belongs in the collection of every Blu-ray fan – something to play when you really want to dazzle your family and friends with the format’s capabilities. This disc will ensure the film’s legacy for years to come, and should expose a whole new audience to its delights. A sequel, entitled Samsara, is apparently set to be released next year. In the meantime, if you buy no other Blu-ray release this holiday season, make sure you get this one.